Ordinary Grace is a touching coming- of- age novel set in the fictional town of New Bremen, “somewhere in the broad valley of the Minnesota River”. It is the summer of 1961, a time of innocence and hope for the country with a new young president. It’s the first year the Twins played in Minnesota, ice-cold root beers were enjoyed at Halderson’s drugstore soda fountain, and Hot Stuff comic books fill the magazine racks. For thirteen-year old Frank Drum it is a summer that becomes much more than a winning baseball season as his innocence is shattered due to a series of tragic events and deaths, including accidents, suicide and murder. The story is told from Frank’s perspective forty years later, recalling his attempts to understand a world that seems to be falling apart. “When you look back at a life”, says Frank, “what you see is a path that weaves in and out of deep shadow. And to construct a narrative from the past, you must build from what stands in the light as well as what you imagine in the dark. I still spend a lot of time thinking about the events of that summer. About the terrible price of wisdom. The awful grace of God.” As we are caught up in his journey from innocence to awareness, we are also swept up in the amazing power of grace in the lives of the Drum family. Frank’s father, Nathan Drum, is a Methodist minister charged with the spiritual needs of not one but three small congregations in the surrounding area, so Frank has had many opportunities to witness faith, yet that summer caused him and each character, from the wealthy to the ordinary, to come to terms with who they are and how they will respond to the tragedies that befell their community. Like the characters in the book, the author gives us much to think about. How would we face the loss of a loved one at the hands of another? Could we exercise forgiveness? Would we seek revenge? The writing however is never preachy or moralistic but rather simplistic and poignant. We are simply swept up in great story telling with a multi-layered plot and well-defined characters. Like any small town, there are villains and heroes and many secrets harbored. 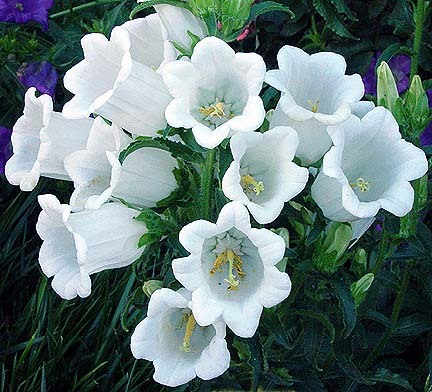 The events of the summer bring many of these secrets into the open in touching revelations of human nature. And I should mention that there are a few redeeming miracles among the tragedies. Frank is the middle child with an older sister bound for Juilliard and a wise-beyond- his years kid brother, Jake. One of the most endearing parts of the book is the relationship of the siblings who like any family have differences yet we experience the profound and enduring bonds of sibling love. Author Krueger is no stranger to good story telling. He is best known for his New York Times best-selling Cork O’Connor mystery series which also take place in Minnesota. He just completed the fifteenth book in the Cork series, but in an on-line interview, he said he considers Ordinary Grace his finest writing. It took him five years to plan and write, saying that he tried to put everything he has learned in his writing experience into Ordinary Grace. He tells us that the story is basically told in two parts. In the first part we are introduced to the Drum family and the community, hopefully in a way that we come to care about them very much. (I think you’ll agree he achieved this as you fall in love with Frank and Jake). Then tragedy strikes and the remainder of the story is how this family and those closely involved respond once horrible wounds are delivered to them. As I read it I could not help but think of To Kill a Mockingbird as Frank’s father has the profound and gentle wisdom of Atticus Finch while Frank and his little brother Jake are voices reminiscent of Scout and Jem. Initially I thought it was perhapss presumptuous to compare it to this stellar piece of literature but by the time I finished it I had no doubt it will rank among the classics. Evidently others feel the same way. Ordinary Grace, is at times reminiscent of Stephen King's THE BODY (or if you are a movie buff rather than a reader, the movie STAND BY ME). I also found many similarities of this book to BOY’S LIFE by Robert R. McCammon which is a story told by a forty-year old man, looking back on the summer he was thirteen in small town Alabama in 1964. An excellent read. I think Ordinary Grace is anything but ordinary. We feel the strength of a father, the depth of friendship and the horrors of misfortune while capturing small town life and the profound and enduring bonds of sibling love. What Frank learns that summer and how he sees and interprets the evil and the grace of that time, will affect him for his entire life. In spite of incredible sadness throughout the story, the epilogue left me feeling inspired and lifted. 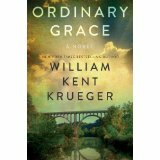 Ordinary Grace has been nominated for the Midwest Independent Booksellers Association's Bookseller's Choice Award for best work of fiction. The winner will be announced at the Heartland Forum in Chicago in October.